Jarrett Walker + Associates Let's think about transit. 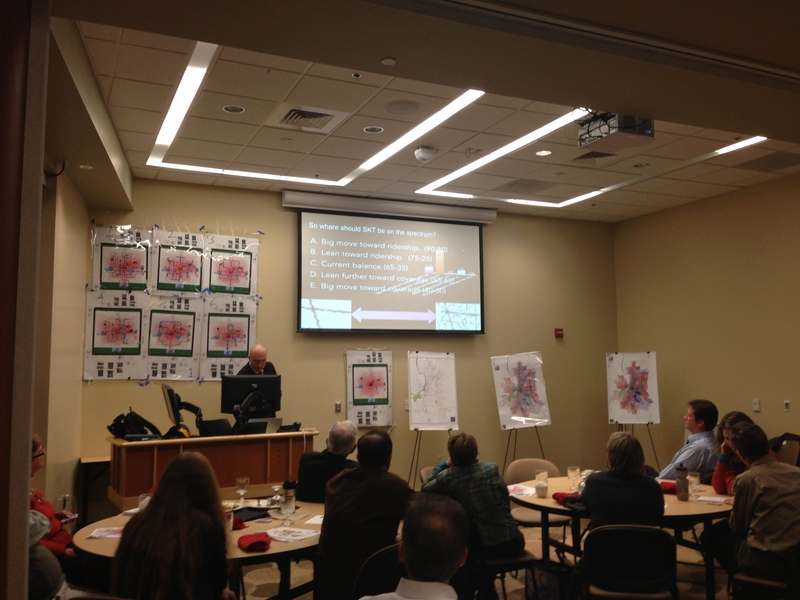 Jarrett Walker leads an interactive workshop with Salem-area stakeholders. In 2013 and 2014, a team led by Jarrett Walker + Associates conducted a Comprehensive System Analysis for Salem-Keizer Transit in Oregon. 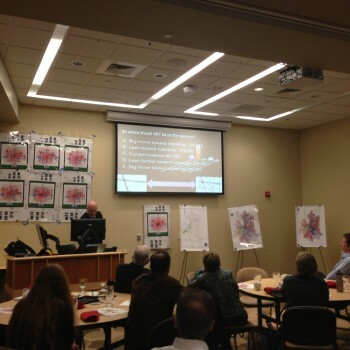 The focus of this analysis was a redesign of the Salem-Keizer Cherriots local network, which the agency implemented in 2015. In spring of 2014, JWA finalized with Salem-Keizer Transit both Short-Term and Long-Term operations plans and networks, for a range of future revenue scenarios. © 2019 Jarrett Walker + Associates. All Rights Reserved.